We spoke previously about the significance of Tu Bi’Shvat regarding the separation of Maaser Sheni (the holy tenth) and Maaser Ani (the tenth for the poor). The 15th of the Hebrew month Shvat is the ‘New Year’ for fruit trees when deciding which Maaser to separate. 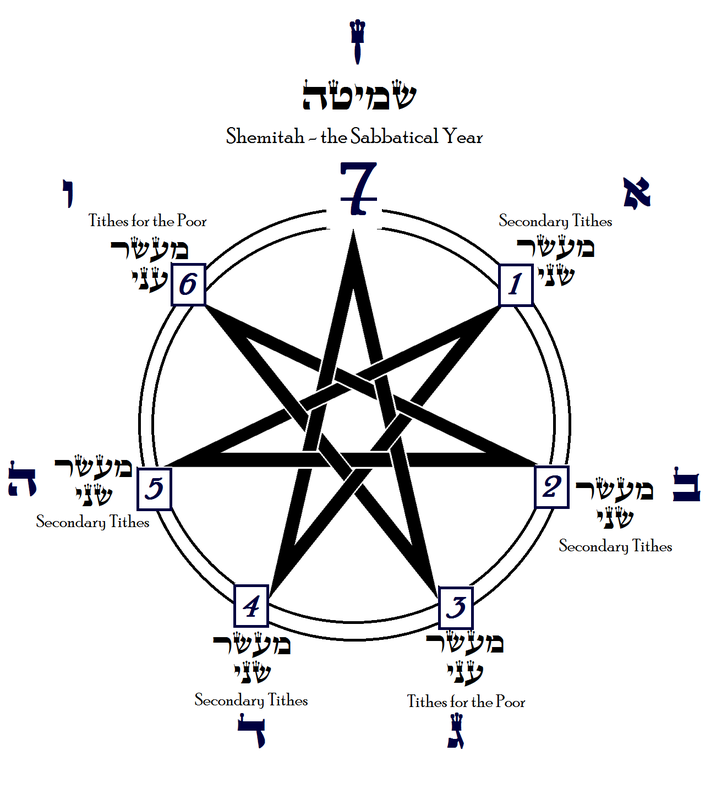 The 1st, 2nd, 4th and 5th years of the septennial (that means “every seven years) Shemitah cycle are Maaser Sheni years. The 3rd and 6th are Maaser Ani years. When the 1st of Tishrei ushers in a Maaser Ani year, all tree fruit maturing after Tishrei 1 but before the next Tu Bi’Shvat is still a candidate for Maaser Sheni (even though the Maaser Ani year has already started four and a half months before!). All fruit maturing after Tu Bi’Shvat is Maaser Ani. But is Tu Bi’Shvat recognized in any way during the Shemitah year? The Shemitah, or 7th year of the cycle is “Shabbat Ha’aretz” – the Sabbath of the Land. Of course, we refer to the one and only land with holiness to the Jewish people – Eretz Yisrael. 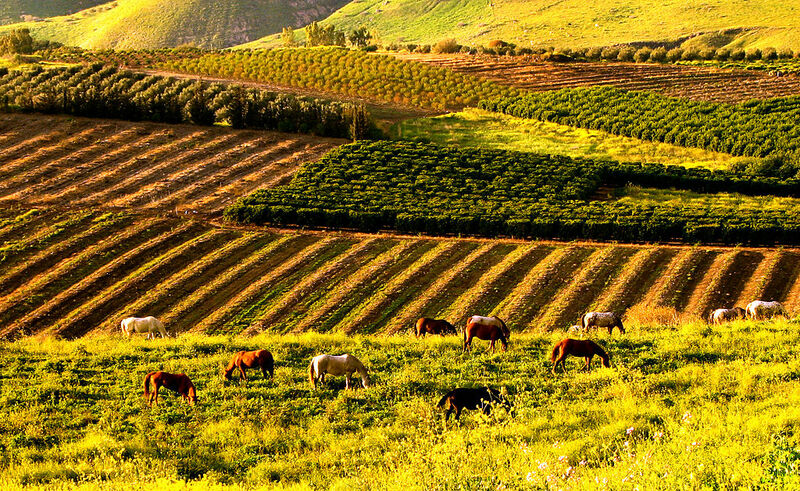 Just like Jews observe a seven day cycle all over the world by working for six days and ceasing ‘m’lachot’ – creative, productive activities on the 7th day, Shabbat, so, too, the Torah commands us to cease basic agricultural labor during the Shabbat Ha’aretz in Eretz Yisrael. What exactly is or is not permitted agriculturally during the Shemitah year is a huge discussion with many complicated rules. A summary will be provided at a different time. But one major rule of Shemitah relates to Tu Bi’Shvat. All tree fruit of the Shemitah year have a special holiness ‘kedusha’. It is called Kedushat Shvi’it – the holiness of the 7th. Its holiness is in no way similar to Maaser Sheni and may not be willfully redeemed onto money. Fruit with Kedushat Shvi’it may not be harvested for retail sale. They may not be sold; rather, they must be given away. Shvi’it fruit must be respected by eating them in their usual way; rather than destroying them for on purpose or diverting their use in an unusual manner. They may not be exported outside of Eretz Yisrael. All these laws are very different from how fruit may be consumed or sold in the other 6 years. In addition to the above, Shvi’it fruit are exempt from Terumot and Maasrot. Because all Jews share all the fruit equally, this includes Kohanim, Leviim, and the poor together with all other Jews! No farmer need separate Terumah Gedolah for the Kohen, or Maaser Rishon for the Levi or Maaser Sheni or Ani. Where on the Shemitah Cycle? Here comes the issue. Let’s say that, like this year, the 1st of Tishrei ushers in the Shemitah year. What is the rule for tree fruit maturing between Tishrei 1 and the following Tu Bi’Shvat of the Shemitah year? Is the fruit considered 6th year or Shvi’it fruit? Does Kedushat Shvi’it manifest itself just like Maaser of a non-Shemitah year; or is the rule different? Opinions differ in answering this question. The majority opinion is that the 1st of Tishrei trumps Tu Bi’Shvat during the Shemitah year. Fruit maturing (חנטה) from the 1st of Tishrei at the beginning of the Shemitah year until the 1st of Tishrei of the 8th year (the 1st year of the next cycle) have Kedushat Shvi’it. This opinion was held by Minchat Chinuch, Pe’at HaShulchan, Chazon Ish and Rav Kook. A minority opinion held by Rav Chaim Berlin (Sefer HaShmitta, Chap. 1, note 3) posits a stringency – chumrah – that all fruit maturing (חנטה) from Tishrei 1 ushering in the Shemitah year until Tu Bi’Shvat of the 8th year, should all be regarded as Kedushat Shvi’it. It would appear that within this stringency, all fruit between Tishrei 1 until Tu Bi’Shvat of the 8th year would be exempt from Terumot and Maasrot, a leniency in Tevel, Terumah, Maaser Rishon, Terumat Maaser and Maaser Sheni; all of these having very special and serious laws. With all the above, we, the Jewish people are given wonderful opportunities to be aware of all of G-d’s blessings of the land that he gave to our ancestors and to us; our beautiful and holy Eretz Yisrael and its spectacular produce year in and year out. 0 Responses on The Significance of Tu Bi'Shvat during the Shemitah Year"